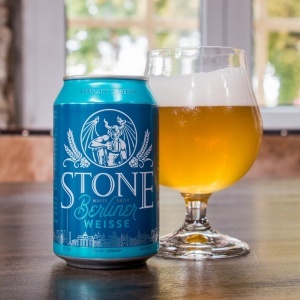 Berlin, March 11, 2019 – With the Garage Beer Co. / Stone Cosmic Island New England IPA Stone Brewing - Berlin continues the Stone UNIQCAN series. For the third collaboration in 2019 Stone Brewing teamed up with Joe Gallimore, Head Brewer at Garage Beer Co. from Barcelona. Joe brought loads of Catalan sunshine and tropical vibes for this extraterrestrial Barcelona-goes-Berlin collaboration. The New England-Style IPA is the perfect way to blast off into spring. 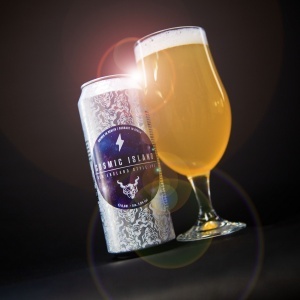 The Garage Beer Co. / Stone Cosmic Island New England IPA is a fruity and juicy hop bomb reminiscent of summer, sun and beautiful Barcelona beaches. The hop bill features Simcoe, Motueka and Callista aroma hops alongside a specifically selected British yeast strain create an out-of-this-world blend of dank hop aromas and tropical flavors with notes of peach and citrus. Oat flakes provide a very soft and pillowy body and mouthfeel that supports the juicy, hoppy character of this New England IPA. Overall: This beer is the perfect beverage to kick off spring! Further information and images in printable format can be found in our drop boxes for photos, pictures and logos, as well as further press material here. Garage Beer Co was started as a brewpub in January 2015 by Alberto Zamborlin & James Welsh, serving hop-forward ales and sours (using local ingredients) to the thirsty Barcelona public. The Garage soon blew up and in 2017 the guys had to build a wholesale brewery, complete with foudres, a barrel-ageing program and a canning line, located in the Sant Andreu neighbourhood. Considered one of the top breweries in Spain, they've been able to make waves in the craft beer community, collaborating on beers with many of the best breweries across the globe. Hailing from San Diego, CA, since 1996 Stone Brewing has been known for its unique, big-character beers featuring bold flavors that defy traditional style guidelines and expectations. It has been named the “All-time Top Brewery on Planet Earth” by BeerAdvocate magazine, twice. The company’s craft beers are now distributed throughout Germany and more than 30 countries in Europe. For more information, please visit www.stonebrewing.eu or the company’s social media sites: Facebook, Instagram and Twitter. Berlin (April 3, 2019) – Metallica and Stone Brewing’s Arrogant Consortia imprint bring Enter Night Pilsner to Europe. The beer brewed at Stone Brewing - Berlin is available as of now in over 30 countries in Europe. 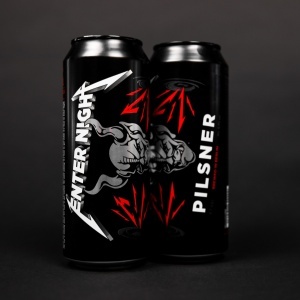 The Enter Night Pilsner, a dry-hopped Pilsner, is a unique expression of the shared values that have helped define Metallica and Stone Brewing: fiercely independent, transcending genres, shattering preconceptions and challenging convention. It is the outcome of a genuine creative spark between two entities that grew to become international forces of nature in their respective worlds, yet came from the fringes. … prepare yourself for a fruity, flowery hoppy Hibiscus tea inspired Pale Ale with a distinctive Sub-Saharan touch! 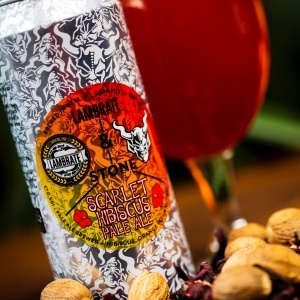 Berlin, February 7, 2019 – The Lambrate / Stone Scarlet Hibiscus Pale Ale is Stone Brewing - Berlins eighth Stone UNIQCAN release and the first in 2019. This time Stone Brewing Berlin teamed up with their friends from Birrificio Lambrate from Milan, Italy. The brewers were inspired to create this beer after a long night out in Milan last year when Stone Brewing Master Brewer Thomas Tyrell and his friends from the Birrificio Lambrate got served a “Bissap”, a sweet tea known as the national drink of Senegal. The Lambrate / Stone Scarlet Hibiscus Pale Ale is really one of a kind. The floral characteristics of Cascade hops along with the fruity citrus notes of Mandarina Bavaria and Citra support the tart and cranberry-like aromas of roselle to create a unique beer with a lush red color and a delectably hoppy and deliciously fruity aroma. Overall: This is a pleasant drink for Valentine’s Day and the start of spring! From 1996, in the heart of Lambrate, in Milan, we brew non-pasteurized and non-filtered beer. Pioneers of the Italian Craft Beer movement, today we still brew our beers with passion, expertise, and a touch of madness. Nestled in a historic 1901 gasworks facility, Stone Brewing – Berlin celebrated its official opening in September 2016. Hailing from San Diego, CA, since 1996 Stone Brewing has been known for its unique, big-character beers featuring bold flavors that defy traditional style guidelines and expectations. It has been named the “All-time Top Brewery on Planet Earth” by BeerAdvocate magazine, twice. The company’s craft beers are now distributed throughout Germany and more than 30 countries in Europe. The Stone Brewing World Bistro & Gardens provides a destination restaurant devoted to celebrating artisanal food & beer and features up to 75 beers on tap, making it the largest beer selection in Germany. In combination with the amazing beer, the restaurant’s world-inspired cuisine has won the Bier, Bars & Brauer award for “Best Beer Gastronomy in Germany”. Additionally, the company was voted among the Top 10 Breweries in the country of Germany. Lunch and dinner are served daily, and brewery tours (with tastings!) are available in both German and English. For more information, please visit please visit www.stonebrewing.eu or the company’s social media sites: Facebook, Instagram and Twitter. … a Norwegian farmhouse yeast in an IPA might be the hottest thing in yeast and fermentation this Berlin winter! Berlin, November 27 2018 – The LERVIG / Stone Hi I’m Kveik! IPA is Stone Brewing - Berlins sixth and final Stone UNIQCAN release for 2018, brewed with LERVIG from Stavanger, Norway. The special element to this beer? A specifically Norwegian twist in the form of “Kveik.” The word Kveik is a dialect-specific Norwegian word for yeast and can be found in thousands of different, unpurified varieties. Back in the day, Norwegian farmers used this yeast to brew and ferment beer on their own farms. As the years went on, each location slowly developed their own strain of this yeast - each as unique and delicious as the world of craft beer itself. For this beer we chose the “Hornindal Kveik” mix of yeast, which brings out light hints of tangerine, pineapple and other exotic fruit flavors in beer. In contrast to other yeasts, this mixture of yeast strains can ferment at temperatures up to 40 °C (a bit warmer than other beers) while still producing a nice, clean ale without any off-flavors. The flavors from the Kveik are balanced by a burst of fruity hop flavors creating distinctly delicious ale. It’s the perfect finale to a great year of exotic beers and demanding challenges for our brewers. Name: LERVIG / Stone Hi, I’m Kveik!  LERVIG is an independently owned and operated craft brewery located in Stavanger, Norway. We produce a wide range of beers from easy-drinking pilsners and pale ales, barrel-aged barley wines and sour beers. We are constantly pushing the boundaries of brewing for both everyday people and craft beer lovers alike. Our goals are to brew the best beers in the world, we like to work outside our comfort zone as well as combine our creativity with the years of craft brewing experience that our brewers have. Everyday we work harder to deliver the quality our customers expect from LERVIG. Today LERVIG is focused on growth – we push the creative limits of brewing while making sure we have a healthy supply of refreshing beers to ship throughout Norway and beyond. LERVIG’s people are what makes this brewery even more special: You’ll find an international team bringing a global perspective to our brewing process, working hard to make sure that LERVIG keeps producing the quality craft beers you’ve come to expect. Nestled in a historic 1901 gasworks facility, Stone Brewing – Berlin celebrated its official opening in September 2016. Hailing from San Diego, CA, since 1996 Stone Brewing has been known for its unique, big-character beers featuring bold flavors that defy traditional style guidelines and expectations. It has been named the “All-time Top Brewery on Planet Earth” by BeerAdvocate magazine, twice. The company’s craft beers are now distributed throughout Germany and more than 30 countries in Europe. The Stone Brewing World Bistro & Gardens provides a destination restaurant devoted to celebrating artisanal food & beer and features up to 75 beers on tap, making it the largest beer selection in Germany. In combination with the amazing beer, the restaurant’s world-inspired cuisine has won the Bier, Bars & Brauer award for “Best Beer Gastronomy in Germany”. Additionally, the company was voted among the Top 10 Breweries in the country of Germany. Lunch and dinner are served daily, and brewery tours (with tastings!) are available in both German and English. For more information, please visit please visit www.stonebrewing.eu or the company’s social media sites: Facebook, Instagram and Twitter. 27 September 2018 – For the fourth release of the Stone UNIQCAN series Stone Brewing has teamed up with some of Britain’s most acclaimed brewers as well as the Independent Manchester Beer Convention (better known as the Indy Man Beer Con or IMBC). 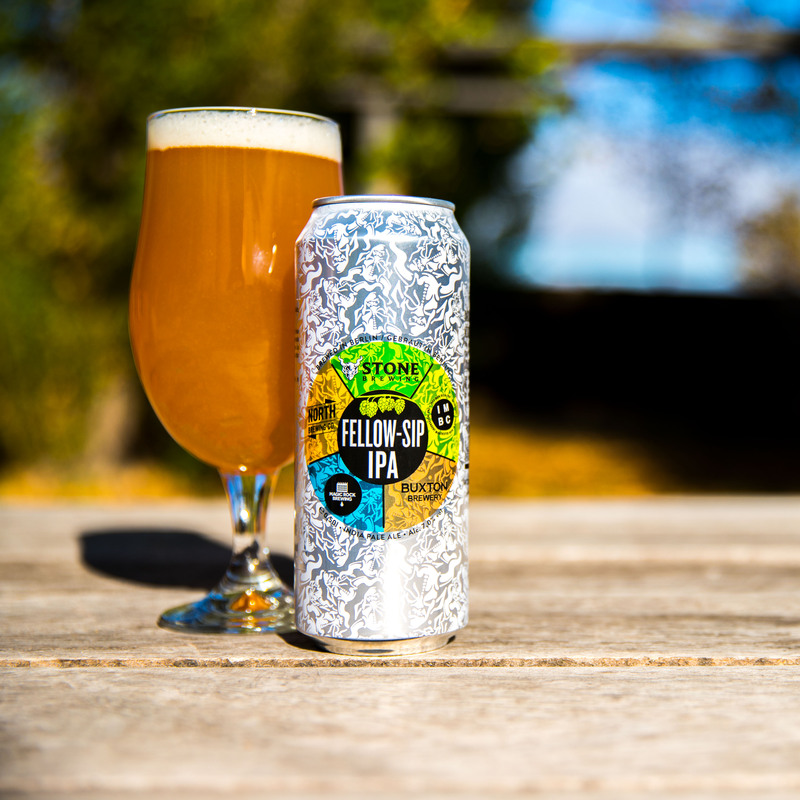 The result is one pretty incredible IPA: The IMBC / Buxton Brewery / Magic Rock / North Brewing Co. / Stone Fellow-Sip IPA, which blends four distinct and groundbreaking IPA recipes, each of which are characteristic to each of the involved breweries. The title may be a mouth-full, but one thing’s for sure – this beer is perfect for reuniting with old pals or making new ones. The piney-citrus-flavor of the beer is highlighted by hints of cherry and lychee. Its dank hoppy notes are derived from a selection of the best malts and hops found in the breweries’ iconic IPAs: Buxton Axe Edge, Magic Rock Cannonball, North Transmission, and Stone IPA. The combination creates a balanced hop complexity that rounds out this beer. The beer will roll out in 0,5L Stone UNIQCANs and will celebrate its official launch at this years’ IMBC in early October. It will then be made available across Europe. The Independent Manchester Beer Convention is set to be once again held in the Victoria Baths in Manchester and will bring together some of the most forward-thinking breweries from across the world. Buxton Brewery Company, located in Buxton, in the UK’s Peak District National Park first brewed in 2009 and has since gone on to be a widely recognised leader in the new wave of progressive and innovative UK craft breweries. The brewery owns and operates three bars in Buxton, including an on-site Brewery Tasting Room, a Tap-House Restaurant and a beer-only Cellar Bar. Employing a small production and packaging team of 11 folk at the brewery plus around another 20 bar staff, the brewery remains a fierce advocate of small, independent and innovative brewing, with a strong emphasis on experimentation. The marrying together of old and new methods of brewing, and collaborating with some of the worlds greatest breweries ensure that Buxton is on the lips of beer fans all over the UK and well beyond. Inspired by local brewing traditions and the vibrant US craft beer scene, Magic Rock Brewing is the culmination of a lifelong passion for beer. Richard Burhouse (aided by head brewer Stuart Ross) started the brewery in 2011 in an old out-building of the family business (an importer of crystals and natural gifts) in Huddersfield, West Yorkshire. Alongside a distinctive core range we produce an ever changing line up of idiosyncratic beers with an innovative quality driven approach. Our ‘Same but Different’ beers are packed with intense yet approachable flavours which will challenge and inspire, but above all remain balanced and drinkable. In line with a desire to reflect US beer culture and enhance the UK beer scene, local designer Rich Norgate was commissioned from day one to create a modern and contemporary look for our brand which would resonate with a new wave of beer drinkers bored by the traditional beer landscape. The Independent Manchester Beer Convention, better known as the Indy Man Beer Con or IMBC brings together the most progressive, forward thinking breweries from across the UK, Europe and USA for a multisensory, headlong, hop- forward beer extravaganza. This year’s IMBC will take place from Oct 4-7 at the Victoria Baths, Manchester. 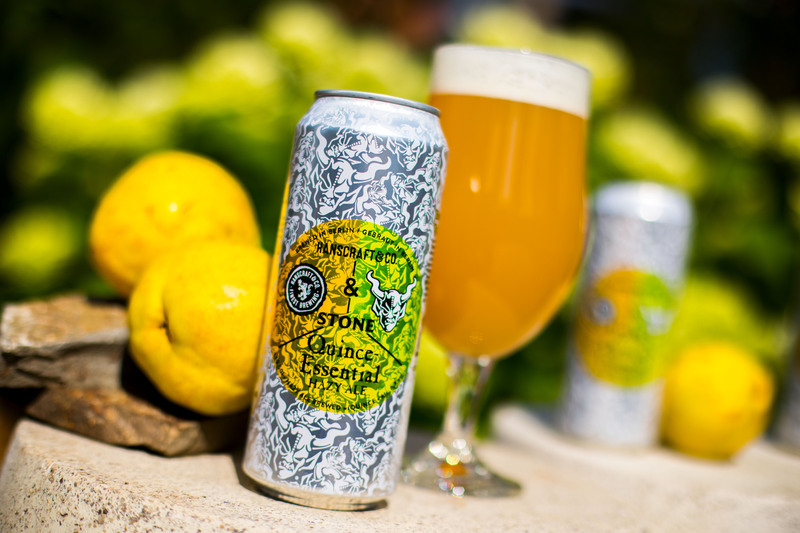 Berlin, July 23 2018 – Stone Brewing – Berlin and Franconia’s revolutionary craft beer brewery present the second special release of the Stone UNIQCAN series: the Hanscraft & Co./Stone Quince-Essential Hazy Ale. Like all special releases of the series, this creamy-hazy ale comes in a 0,5l Gargoyle-clad (the guardian symbol and patron saint of Stone Brewing) can with a specially-designed label. Stone Berlin launched the Stone UNIQCAN - a super-limited beer series - out of Berlin in July 2018. Hanscraft & Co./Stone Quince Essential Hazy Ale is a collaboration between Thomas Tyrell, brewmaster of Stone Brewing - Berlin and Christian Hans Müller the founder of Hanscraft & Co., who has been kicking out phenomenal German IPA’s since 2012. With this fruity-hazy NEIPA-inspired ale they help to restore an almost forgotten fruit to a new glory: the quince. The golden yellow, roundish fruit (which looks like a mixture of apple and pear) had gone out of vogue. Even a ripe quince would take so long to cook that you could easily travel from Berlin to Franconia in the same amount of time. The quince's fruity-tart apple-pear-citrus-flavor of the Hanscraft & Co./Stone Quince-Essential Hazy Ale, takes the meaning of juicy to a whole new level and delivers a skillful balance of a distinctive and complex hop profile. Hanscraft & Co./Stone Quince-Essential Hazy Ale will be available exclusively at specialty shops starting August 1. Appearance: Super-hazy and creamy like a quince smoothie. Aroma: Fruity aromas of apple, pear and quince. Slightly pine needle note with a dank undertone. Taste: Mild, fruity, lots of quince, full-bodied, round and hoppy. Overall: This special-edition NEIPA-inspired ale that takes the haze craze to new heights with the apple-pear-citrus flavor of the oft-ignored quince fruit. Like a smoothie in a can, this creamy ale has a distinct and complex hop profile balanced by exquisite fruit tanginess. Hanscraft & Co. considers itself as a supraregional partner for craft beer. "Authentic & real". This describes the company, which has gradually become one of the leading and best known companies within the German craft beer scene. "Being able to reinvent yourself at any time and reacting to market requirements" is the main claim that Christian Hans Müller places on himself and on his company. Occasional Collaboration Brews with national colleagues or brewieries from abroad, such as Kompaan (The Hague, NL) or West Coast Bryggeri (Gothenburg, SE) testify to recognition and appreciation within the industry. In particular, cross-product joint projects, such as EES from Namibia or Jameson Irish Whiskey from Ireland give Hanscraft & Co. special attention. Both the market and the press praise the products and activities of Hanscraft & Co. and national and international awards round off their value. Despite steadily declining beer sales in the "country of the brewers", which is mostly complained by SMEs and industrially affected breweries, the trend towards creativity and innovation favors the permanent expansion of a niche and offers opportunities for such a marked segment with a national unique selling proposition. Berlin, June 20 2018 – Stone Brewing Berlin announces the launch of a special limited release series, packaged in 500ml cans. The Stone UNIQCAN is inspired by the success of the „Stone Berlin Pilot Series“ program, a rotating cast of experimental, collaborative and limited edition beers. The name “Uniqcan” blends “unique” – as each release will be a unique beer – and “can” – the very best package today for maintaining a beer’s freshness. It is the perfect moniker for Stone Berlin’s super-limited, revolutionary small batch releases, rolling out of Berlin each month starting in July. These exclusive Stone UNIQCAN beers will be filled in specially designed 0,5l Gargoyle-clad cans fitted with a unique label for each release. The program’s beers will also be available on draft at Stone locations and an exclusive selection of bars and restaurants around Europe. The first beer to kick-off the series is the Stone Berlin-brewed Stone Tangerine Express IPA, which will hit shelves beginning the week of July 1 and will be available exclusively at specialty shops. Stone Tangerine Express IPA was brewed for the first time in the US in early 2017 and skyrocketed to one of the most popular beers in the lineup of year-round offerings from Stone Brewing in the US. The European edition marks the first time the beer is brewed in Berlin. Stone’s brewers used whole tangerine puree to capture the essence of the bright flavors of the fruit with the addition of whole pineapple for a subtle, yet lingering tropical back note. Neither the hops nor the fruit dominate, yet together they create several complex fruit layers, which can only be achieved by brewing with the entire fruit. Eight different hops give this beer its marked dankness overtones and refreshing bitterness. It’s an express ticket to a beach hammock getaway with refreshing drink in hand, complete with punchy tropical fruit character and Stone’s signature bold hop bitterness. Aroma: Bright, fresh fruit aromas of pineapple, tangerine, and tangelo combine with citrus and tropical aromas from the hops. Taste: An explosion of fresh fruit and bright hops join together to create several complex fruit layers. Taste is both fruity and hoppy leading to a long finish. Palate: Crisp, clean, and refreshingly bitter. There is a pithy quality similar to biting into fresh fruit along with the backend bitterness one would expect from a Stone Brewing IPA. Overall: Working with fruit can be amazing and using good quality fruit is key to achieving that wonderful freshness and avoiding artificial flavorings. The high-end pureed fruit used here blends exceptionally well with the aroma and flavors from the hops creating a multi-layered IPA that also has the dankness and bitterness that superbly rounds out this beer. Berlin, May 2 2018 – The Stone Brewing Tap Room – Prenzlauer Berg is now open on Oderberger Strasse, featuring 27 world-class craft and artisanal beers on tap. International street food in combination with a unique “all-day breakfast” menu make the craft beer destination a satisfying stop any day, including preparation for, or a repose after a day of browsing the famous Mauerpark Sunday Market. In addition, the choice of either Berlin-brewed cans of Stone beers, or a freshly filled jug of draft beer from Stone’s Growler Filling Station allows fans their format of choice to grab fresh beers to take home, or perhaps enjoy while cheering on the brave singers at Mauerpark’s popular Bear Pit Karaoke. There will also be a selection of high-quality wines, spirits, non-alcoholic drinks, and locally roasted espresso drinks. The menu features a variety of international street food items like German InSideOut, the Pastrami Rye Tower and Onion-Jalapeno Quiche, alongside signature dishes from Stone Brewing World Bistro & Gardens – Berlin, including BBQ Pulled Pork Spring Rolls, Hoisin Chili Duck Tacos, fresh soups, salads and all-day breakfast options. Both vegetarian and vegan options will be readily available. The 100 square-meter location offers indoor seating for 60 and an additional 70 seats along the street bar and outdoor patio. The detailed design of the tap room features organic materials including wood and stone with industrial elements of metal, concrete and glass. In addition to bar and table seating, guests can take a respite from the hustle and bustle of the popular neighborhood in the cozy lounge area. The Stone Brewing Tap Room – Prenzlauer Berg is the second destination for Stone Brewing in Berlin, and the first Stone Brewing Tap Room outside of the US. The second Stone Brewing Tap Room outside of the US is due to open in Shanghai in late June. The company is actively seeking additional Stone Tap Room in beer loving locations around the planet. Lest that sound too big, rest assured that a “slow and steady” approach will reflect in the site selection process. BERLIN (April 11, 2018) – Stone Brewing World Bistro & Gardens – Berlin, renowned for its vast lineup of more than 50 craft and artisanal beers, takes center stage in a different form of the arts this spring. The British tenor and Deutsche Oper ensemble member Andrew Dickinson will direct the three-day event taking place May 31st, June 1st and June 2nd. 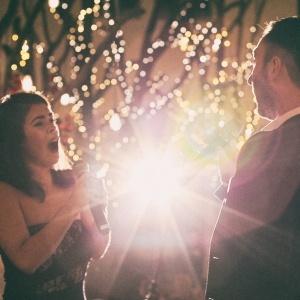 Opera @ Stone: La Bohème presents a modern twist on Puccini’s classic love story, set in current-day Berlin and utilizing the expansive award-winning restaurant’s entire multi-level space. Dickinson’s cast is a group of Europe’s best young singers, featuring soprano Micaëla Oeste (Musetta). Italian conductor Elda Laro will lead the Stone Opera Orchestra, to be accompanied by Berlin’s “Strassenchor.” The highly acclaimed Strassenchor was founded by Stefan Schmidt in 2009 to bring an outlet for creativity to those in need. In honor of the adventuresome craft beer and opera pairing, Stone will brew an exclusive draft beer especially for the event. In addition, Stone executive chef Robert Hilges has crafted a decadent three-course menu specifically designed to accompany the production. "We’re proud to take on this exciting and creative project together with Andrew and Stefan,” adds Marcus Thieme, vice president & general manager of Stone Brewing – Berlin. “Music is a part of Stone’s DNA. We view musical taste similar to how we view craft beer preferences: breaking pre-conceived expectations is fun!" Nestled in a historic 1901 gasworks facility, Stone Brewing – Berlin celebrated its official opening in September 2016. Hailing from San Diego, CA, since 1996 Stone Brewing has been known for its unique, big-character beers featuring bold flavors that defy traditional style guidelines and expectations, and has been named the “All-time Top Brewery on Planet Earth” by BeerAdvocate magazine, twice. The company’s craft beers are now distributed throughout Germany and more than 30 countries in Europe. The Stone Brewing World Bistro & Gardens provides a destination restaurant devoted to celebrating artisanal food & beer and features up to 75 beers on tap, making it the largest beer selection in Germany. In combination with the amazing beer, the restaurant’s world-inspired cuisine has won Bier, Bars & Brauer award for “Best Beer Gastronomy in Germany”. Additionally, the company was voted among the Top 10 Breweries in the country of Germany. Lunch and dinner are served daily, and brewery tours (with tastings!) are available in both German and English. For more information, please visit www.stonebrewing.eu or the company’s social media sites: Facebook, Instagram and Twitter. In the summer of 2009, Choir Director Stefan Schmidt embarked on an unusual mission to establish a choir for people in need. By Autumn of 2009, Stephen had successfully brought together a choir of people struggling with homelessness and drug addiction. Shortly thereafter the choir released a CD and was performing on stage in Berlin. Since then, the self-proclaimed “Strassenchor” (Street Choir) regularly rehearses at the Evangelical Twelve Apostles Parish, giving semi-regular performances around Berlin. In 2011 the Strassenchor received an award from "365 Orte im Land der Ideen,” – the award recognizes projects providing innovative answers to urgent social questions. Berlin, March 30 2017 – Intensively hopped and bold, big-flavored beers are known to be the passion for Stone Brewing. Taking another step into that obsession, Stone Brewing Berlin is pleased to introduce Stone Go To IPA to over 20 markets in Europe, including UK, the Nordics, France and Spain. 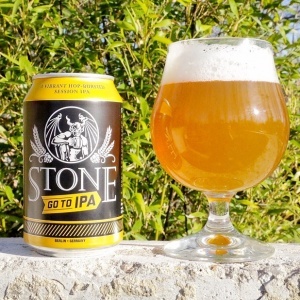 Brewed with nothing but barley, hops, water and yeast, Stone Go To IPA is the ultimate refreshing beer and loaded with intense peach, citrus and melon aromas and all the complex hop flavor that Stone IPAs are known for, creating a virtual hop explosion! Stone Go To IPA is 4.7% ABV and is therefore considered a “session” beer. Session beers are defined as ales or lagers below 5% ABV, which allows for greater drinkability within a reasonable stretch of time. The technique of Hop bursting helps to overcome the challenge of making a lower alcohol full-flavored brew that doesn’t taste thin or watery. Using this method creates an intense hop aroma and flavor along with a satisfying bitterness. Stone Go To IPA is brewed with a selection of nine different hops and will be available year-round. IPA enthusiasts and curious craft beer novices alike will be able to satisfy their appetite for the almighty hop with this everyday go-to ale. Palate: Dry and refreshingly bitter, the finish makes you want to drink more! Overall: This beer employed the hop bursting technique, which in essence is a hopping method where all or most of the bitterness in the beer comes from late hop additions in the brewhouse at the end of boil and in the whirlpool. The result is a beautifully aromatic beer with substantial, but somewhat mellow, bitterness. The hop bursting also enhances the flavor retention of the hops, and combined with the dry hop, creates a very intense and complex hop flavor. For more Information and photos, please check our dropboxes for photos, pictures and logos and our Press Kit as well as www.stonesalesmaterials.com/europe. Founded by Greg Koch and Steve Wagner in 1996, the groundbreaking San Diego-based Stone Brewing is the 9th largest craft brewer in the United States. Recognized as an industry leader, Stone is one of the fastest growing companies in the US. Stone Brewing has been called the “All-time Top Brewery on Planet Earth” by BeerAdvocate magazine twice, and was named the “Top Rated Brewer in California” by RateBeer Best in January 2017. The multifaceted company is the first American craft brewer to independently build, own and operate their own brewery in Europe (Berlin, Germany). Known for its bold, flavorful and largely hop-centric beers, Stone has earned a reputation for brewing outstanding, unique beers while maintaining an unwavering commitment to sustainability, business ethics, philanthropy and the art of brewing … and pledging never, ever, to sell out to the man. For more information on Stone Brewing, please visit stonebrewing.eu or the company’s social media sites: Facebook, Instagram, Pinterest, Twitter and The Stone Blog. Berlin, November 2 2017 – It’s no doubt you’ve dreamed of escaping the grey British autumn. Do you find yourself daydreaming about the sun, the beach, and your surfboard? While the weather will persist, beer fans can now grab a fresh Berlin-brewed Stone Ripper Pale Ale – an ode to sunny summer days and – a Rippin’ Swell of Juicy Hops! This fresh and juicy San Diego-style pale ale is inspired by coastal surf culture and combines signature German, West Coast and Australian hops for a Stone Berlin take on a classic style. The awesome golden beer has a light body and a nice blend of citrus and tropical fruit hop flavor. With a bounty of dry-hop flavor and aroma, this beer is Stone Berlin’s current-day interpretation of a hoppy American West Coast style pale ale – with an Australian accent. 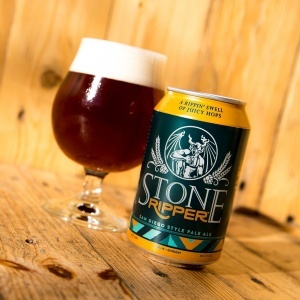 Stone Ripper Pale Ale is available all year in 0,33 l cans and on draft. Each can is stamped with a packaging date and ‘enjoy by’ date, so that beer fans can best enjoy the beer’s intensity and finely balanced flavor. Appearance: Deep golden with a light tan head. Aroma: Fresh orange, floral, pineapple, peach and green tea. Taste: Orange, tropical, dank, fresh green hops. A nice caramel malt backbone leading to a crisp, clean finish. Palate: Medium body with moderate bitterness. Overall: Our Berlin Pale Ale. Hop-driven with moderate bitterness and just enough malt backbone to elevate the hops, this Pale Ale is super-refreshing. For more Information and photos, please check our Dropboxes for photos, pictures and logos and our Press Kit. The Berliner Weisse to end the non-traditional “sweet additives” travesty. Berlin (September 20, 2017) – For decades, the noble Berliner Weisse has been forced to live in wrongful perdition. A complex sour beer, once honored by Napoleon’s troops as the “Champagne of the North,” has in recent generations been badly mistreated and become woefully misunderstood. In just the last 100 years, the authenticity of the style has been unjustly adulterated by artificial flavorings, colorings, sugar and sometimes even schnapps. Choosing instead to be completely and authentically traditional, Stone White Ghost Berliner Weisse is a tart and refreshing Berliner Weisse. The beer gains its orthodox lightly sour and acidic character from a specially selected Lactobacillus strain sourced from historical Berlin cultures. To ensure a properly Stone - and therefore iconoclastic - Berliner Weisse, the ABV is a healthy 4.7% and the beer is hopped with new German hop varieties. The result is a true Stone beer: Unexpectedly bold and pleasantly refreshing. Unbeknownst to the average Berliner is that the addition of ‘schuss’ flavorings is a fairly recent occurrence in the 600+ year history of the style. In modern times, most consumers have learned to believe that it is required to add sugary syrups with artificial flavorings and colorings to the beer. In a country that prides itself on purity, this is a bit of a bewildering practice. 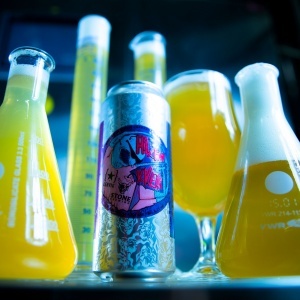 However, craft brewers around the world, including now in Berlin, are opting for the true tradition of complex and flavorful Berliner Weisse that would be ruined by pouring in such neon colored additions. Stone White Ghost Berliner Weisse is now available in 0,33 l cans and from draft. Each can is stamped with a packaging date and ‘enjoy by’ date, so that beer fans can best know when to enjoy the beer’s intensity and finely balanced flavour. Appearance: Pours cloudy golden with a white head. Aroma: Intense lemon, peach and melon flavors. Also some rhubarb notes. Taste: An intense, but well balanced sour. Palate: Medium body with no perceivable sweetness. A clean acidic finish. Overall: This is a refreshing year-round beer! Charlie Papazian is a man who wears many hats. There’s a common theme though, with the hats. Not only does he wear many, but he first started wearing them at a time when nobody else wore hats. They were outlawed actually, and nobody ever imagined they’d come back in fashion. Almost 50 years on, here we are in 2018… and everybody is wearing Charlie’s hats! Ich bin ein berliner braumeister. Greg Koch si presenta parafrasando una delle più celebri uscite di John Fitzgerald Kennedy: co-fondatore e direttore esecutivo di Stone Brewing, tra le realtà più riconosciute della cultura birraria statunitense, Koch ha tenuto banco per un incontro alla birreria HOP di Milano, coadiuvato dalla moderazione del giornalista Maurizio Maestrelli, per raccontare la craft beer revolution d’oltreoceano. ... take a trip to the huge new Stone Brewing World Bistro and Gardens (S-Bahn: Attilastraße) in the south of the city, bringing West Coast brewing flair to the German capital.